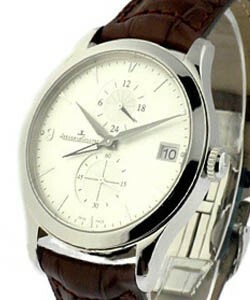 This watch is also known as: Q1412420 , 141.24.20 , Q1412420-PO . 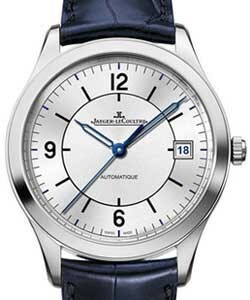 Pretty as a picture, the gorgeous Jaeger - LeCoultre Master Reveil (ref Q1412420) features a men?s size, 18Kt Rose Gold case with a sapphire scratch resistant crystal. 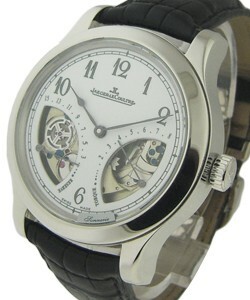 Its silver dial is embellished with rose gold hands, beautiful stick and numeral markers, and the classic Jaeger ? 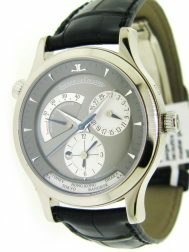 LeCoultre face. 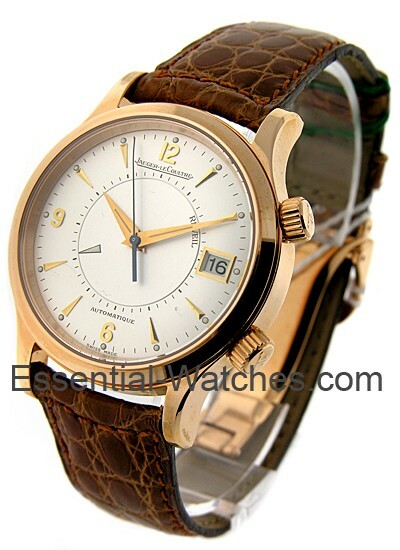 The Jaeger - LeCoultre Master Reveil (ref Q1412420) sports a brown crocodile strap with a rose gold folding buckle, heightening the timepiece?s glamour. 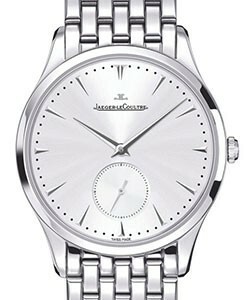 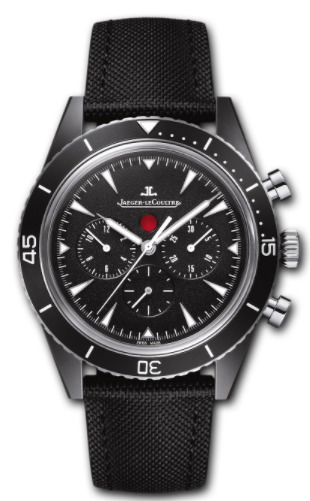 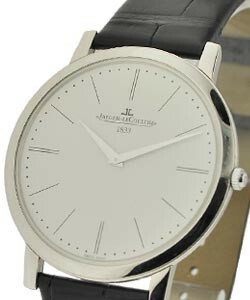 With its sheer elegance, the Jaeger - LeCoultre Master Reveil (ref Q1412420) is nearly too good to be a true wristwatch.